Designed to support UK based Korean musicians, the KCC House Concert is a new performing arts programme at the Korean Cultural Centre UK (KCCUK). Throughout 2017 this programme will showcase the impressive talents of Korean musicians presently within the UK’s classical scene by offering them the opportunity to perform in central London at the KCCUK. The Series which began in February 2017, will run once a month (on every third or last Tuesday), the concerts are open to the public and free to attend. Hyungi Lee (Percussion) was born in South Korea in 1996 and has been studying percussion for 7 years. She held a Government Scholarship under the Music and Dance Scheme when she studied at The Purcell School of Music. After graduating she went on to study solo Marimba with Daniella Ganeva and orchestral percussion with David Hockings. Hyungi was awarded First Prize at the Seoul University National Competition, the Guildhall and Trinity Hall Marimba Competition (Cat. B) and at the age of 13 the Fermo International Percussion Competition (Tuned Perc – Cat. A) in Italy. She reached the semi-finals of the 2012 BBC Young Musician of the Year Competition and was awarded the Walter Todd Bursary for her performance. She has performed at various concert venues including Wigmore Hall with The Purcell School many times, the Elgar Room in the Royal Albert Hall and the Royal Opera House. She has also performed a Marimba Concerto at the Watford Colosseum with The Purcell School Symphony Orchestra in 2014. In 2013 she was one of the nine semi-finalists in the Universal Marimba Competition held in Belgium. 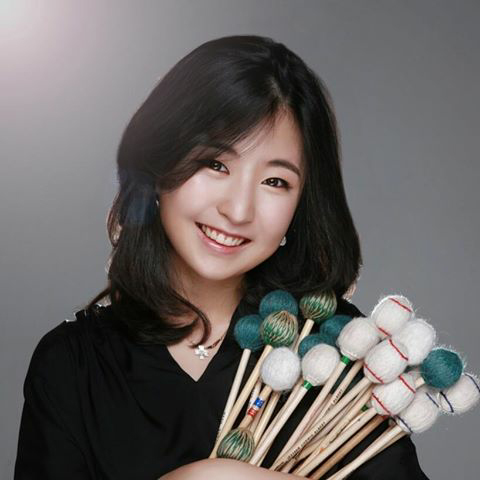 She won the first prize at the International Marimba Congress and Competition 2014 held in Bamberg, Germany. And she got 3rd place in the 6th Edizione Concorso Musicale Europeo (Marimba, Cat – No age limit) that was held in Citta di Filadelfia, Italy. And most recently she won the RCM Percussion Competition 2016. She was awarded the Leaver’s award in the honour of Arthur Felsenstein from The Purcell School and an ABRSM scholarship from the Royal College of Music. Lately, Hyungi has been performing a lot as a duo at various venues including the Victoria & Albert Gallery. She is also performing with a percussion quintet in Cadogan Hall in June. She is also part of the RCM’s award winning percussion quartet PERC’M having recently toured with them around Britain with marimba virtuoso Eric Sammut. Hyungi also holds educational work in high regard and feels that it is an essential part of a musician’s duty. She has worked in outreach programmes throughout Kensington and Chelsea including one project in the Royal Albert Hall.